We released our third quarter results for fiscal 2014 on July 31, 2014. The combined press and analyst conference call was broadcast live on the internet. Third-quarter revenue was 4% lower year-over-year, and orders came in 3% below the prior-year period. The book-to-bill ratio was 1.08 for the quarter, and Siemens' order backlog was €101 billion. On an organic basis, excluding currency translation and portfolio effects, revenue rose 1% and orders were stable year-over-year. Total Sectors profit rose 37%, to €1.739 billion, highlighted by substantial profit improvements in Infrastructure & Cities and Industry, and income from continuing operations climbed 36%. Net income for the third quarter rose 27% year-over-year, to €1.399 billion, and basic earnings per share (EPS) increased to €1.62. Free cash flow from continuing operations was €1.127 billion, up from €996 million in the third quarter a year earlier. "While we made good progress in most areas, the Energy Sector poses a continued challenge in the quarters to come. 'Siemens – Vision 2020' leads the way to sustainable performance improvement." 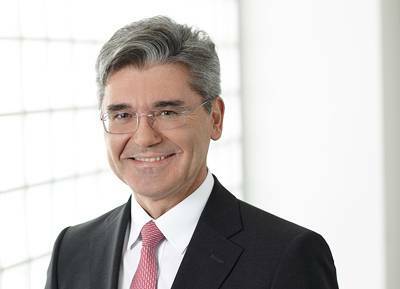 In the third quarter of fiscal 2014, Siemens posted strong results in most areas, which were affected by challenges in the Energy Sector. Net income rose to €1.4 billion, from €1.1 billion in the prior-year-period. Corresponding earnings per share increased to €1.62 year-over-year from €1.27. Total Sectors profit rose to €1.7 billion, but was held back by ongoing profitability challenges within the Energy Sector. For comparison, Total Sectors profit of €1.3 billion one year earlier had been burdened by €418 million in "Siemens 2014" charges.